SEPTA Key will expand its reach in May. SEPTA’s smart-fare card will finally get a wide rollout on Regional Rail in May. The SEPTA Key will be available to Regional Rail riders with weekly and monthly fare plans who board at stations in Zones One and Two starting May 1, SEPTA said Tuesday. Weekly and monthly Key cards were available starting last fall in Zones Three and Four. Regional Rail riders who don’t yet have Key cards, or who wish to add a monthly or weekly plan, can do that starting Saturday through the sales offices at Jefferson, Temple University, Suburban, and 30th Street stations, or can set up the fare tool through the SEPTA Key website. University City station is not yet equipped to manage Key cards for Regional Rail. The system still has some limitations. People who have their fare payments deducted pretax through their employers cannot use that service through SEPTA Key, said Leslie Hickman, SEPTA’s chief officer of revenue operations. The Key-selling kiosks at Regional Rail and subway stops throughout the city also are not yet programmed to manage Regional Rail fares. She did not have more details on what work was needed to make the kiosks Key-compatible. Key cards are not yet able to pay for single trips on Regional Rail for people who don’t use a weekly or monthly plan. Hickman noted one complaint users have had about the Key system — its website — has improved. SEPTA introduced a version in March that she said is much easier to use than the earlier system. The Key card has gradually become the primary fare implement for the city’s buses, trolleys, and subways since its rollout in 2016. Last year, SEPTA stopped selling tokens, making it the last major American city to let go of the classic transit fare coins. Eventually, it will replace all other fare systems. Key became available to a select few Regional Rail riders last year through a pilot program. About 2,000 Regional Rail riders out of about 63,000 are using Key, Hickman said, and she anticipated another 2,000 would likely join from Zones One and Two. Systemwide, there are 1.2 million Key cards in operation, used on 300 million trips, she said. “We wouldn’t have been opening Zones One and Two, frankly, if Zones Three and Four weren’t going pretty well,” Hickman said. 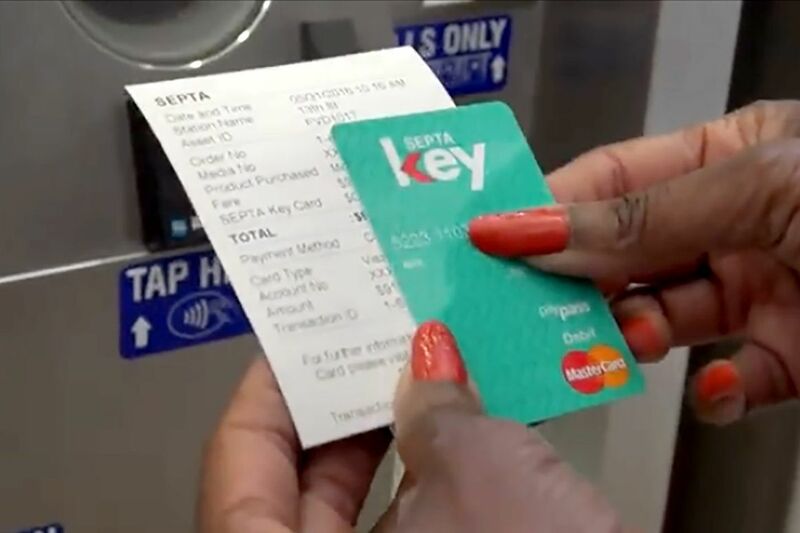 Key was designed to introduce a unified, modern fare system for SEPTA, but the introduction has not been entirely smooth. The original contract was bid at $122 million, but delays and technical problems have raised the cost as of December by $50 million, not counting related expenses. Getting a Key costs $4.95, plus an additional minimum $5 that goes toward fares, and advocates for the city’s poor have said the initial investment can be difficult for people with low incomes. The $4.95 cost also will go toward fares if the buyer registers the card within 30 days at https://beta.septakey.org/.